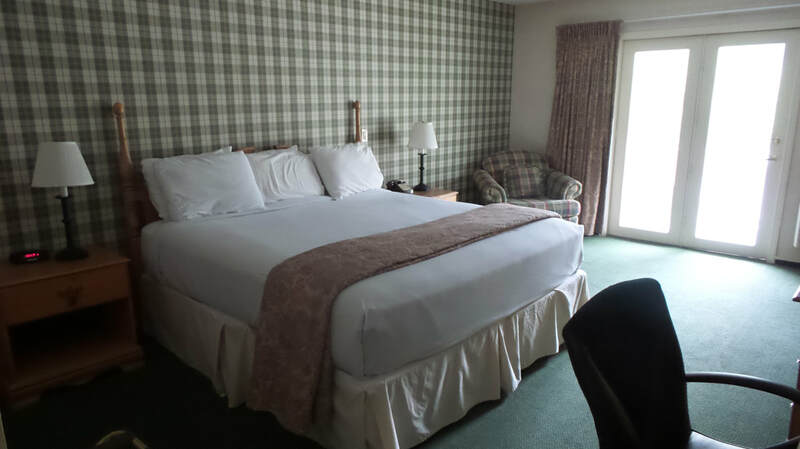 The 80 guest rooms and 5 suites at the Green Granite Inn are steeped in New England country charm. 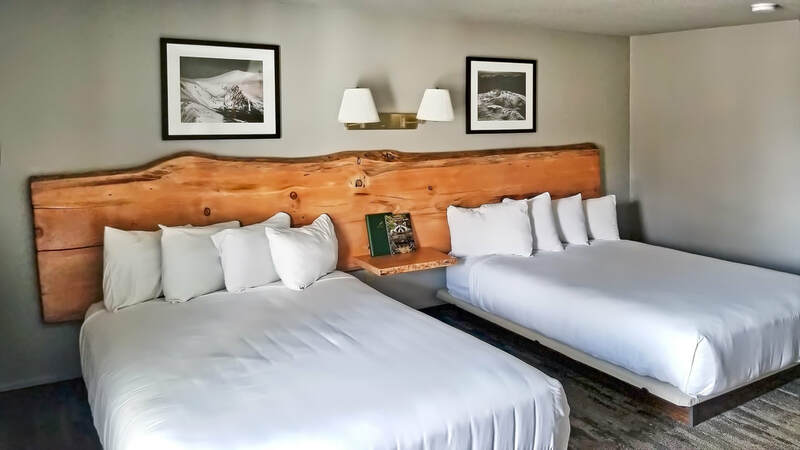 Among the most unique and family friendly places to stay in North Conway, NH, our accommodations were designed to allow you to relax, unwind and recharge amidst the splendor of the White Mountains and Mt. Washington Valley. With a variety of room types accommodating from two to five guests, we’re the ideal choice for family vacations, group getaway and romantic escapes. 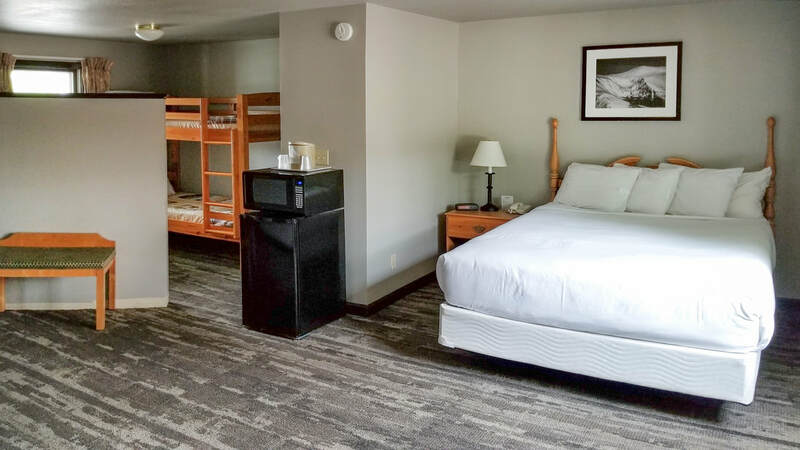 Choose from an array of room styles, including one-bedroom suites, rooms with bunk beds, and regular guest rooms. 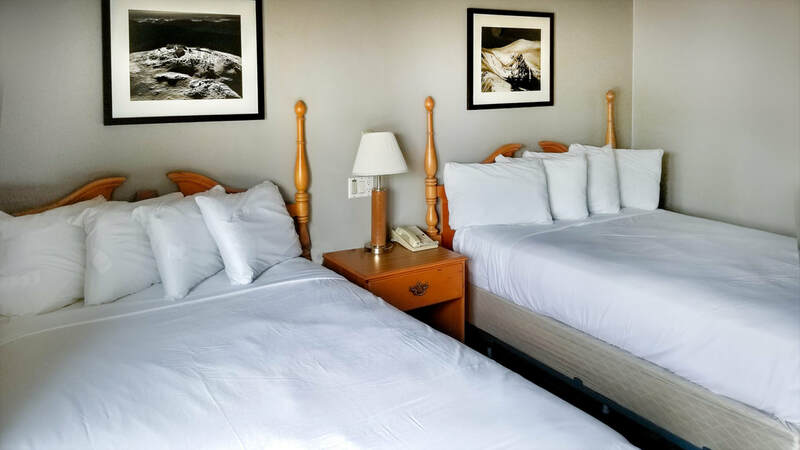 Our suite accommodations are available with a whirlpool, kitchenette, living and dining areas, sleeper sofas, or an extra TV. Whichever room you choose, you can expect to feel at home. All rooms include a complimentary breakfast and access to our indoor pool, seasonal outdoor pool, hot tub, and fitness center. Newly upgraded Wi-Fi is also available free of charge throughout the property. Located on the west end of the property, this room features two double beds and an outdoor entrance with easy access to our outdoor pool. Each stay includes a deluxe complimentary breakfast buffet. Located in the south wing of the Inn, this room features two Queen beds or one King bed, a patio or balcony and a sink outside of the bathroom. Each stay includes a deluxe complimentary breakfast buffet. Our King Rooms are located in the main part of the inn as well as our south wing. Each room features a patio or balcony, easy access to the lobby and indoor pool area. Located in the south wing of the property, this Suite features a King bedroom, separate living room area with kitchenette, a Jacuzzi bathtub and a patio or balcony. Located in the main part of the Inn, this room features two Queen beds or one King bed, a patio or balcony and easy access to the lobby, breakfast room and indoor pool area. Located on the west end of the property with easy access to our outdoor pool, these rooms have an outdoor entrance, Queen bed, and alcove with a set of bunk beds.